Here at Green Leaf Lawn we offer complete holiday décor pagcages, we know that the Christmas season can be a busy one, so why not let us take some of the tress out of the holiday season for you with our Tulsa Holiday Lighting Installation services. We have a trained team that will treat your home with respect. Our services are designed to be as simple as possible, once we have a design plan in place for your property all you do is tell us when you would like it setup and write the check, it is that easy! We install, maintain, store and take down the Tulsa Holiday Lights. We are willing to work with any budget, if budget is not an issue we can propose different designs and let you choose which best fits your holiday liking. We encourage you to call us today at 918-640-6405. There’s still time to get us on your team for the holidays. 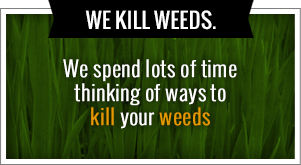 Check us out online for more information about our company in the different services we offer by visiting www.greenleafweedcontrol.com today. Bring joy to the season with Green Leaf Lawn! Our Tulsa Holiday Lights experts can provide beautiful holiday lighting and greenery décor for both residential and commercial customers. Green Leaf Lawn and all of our professionals uses lighting techniques that enhance the beauty of the outdoors at night and can expertly incorporate holiday lighting into the design. Green Leaf Lawn designs have an elegance and eye-appeal that truly beautify the outdoors at night. Green Leaf Lawn knows how to present that beauty using professionals that are trained and understand the installation of outdoor lighting. We already do creative designs and installations of landscape lighting and with Tulsa Holiday Lights, we can take that to another level. The colorful displays, which turn an ordinary home into a winter wonderland, are the result of a lot of creativity and experience. The holidays are a time to celebrate, decorate, and appreciate the loved ones in your life. When you wish to enhance your home, our Tulsa Holiday Lighting Installation experts will provide the talent to design that additional dimension of warmth and intrigue to your home. Elegance is of the utmost priority in our holiday lighting service. Ambience provides a warm welcome to all of your guests and shines bright throughout the neighborhood. Our Tulsa Holiday Lights experts can greatly enhance the appearance of any home. 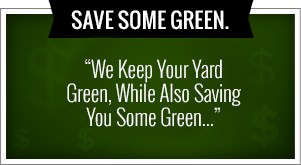 Give us a call today to set up a consultation where you can get a free quote from Green Leaf Lawn. Our numbers 918-640-6405, and we look forward to speaking with you today over the phone.